The location of many of the best known films in the world, the USA is full of film studios, sets and celebrated locations featured in movies. While these can be found throughout the country, there are a few key places to hit if you’re obsessed with cinema. 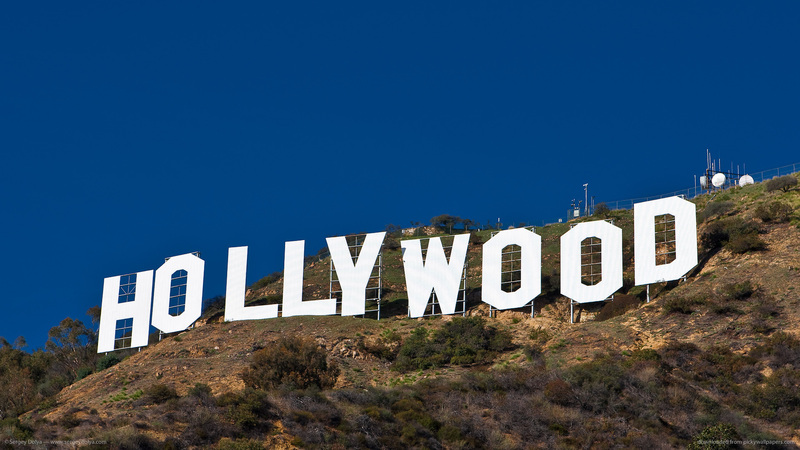 Being the home of studios, film sets and iconic backdrops, California is a must-see location for any film buff. Visit one of the huge studios for an amazing glimpse into the inner workings of the biggest entertainment companies in the world, and glimpse inside with one of their many tours. There’s even a possibility of bumping into one of the well known stars that are currently filming! The home of many current TV shows, as well as classic films like “Casablanca” and “Rebel Without A Cause”, Warner Bros Studio is just one of these. If you want to explore the sights and sounds of California, then there are plenty of locations that were home to some of the real action of the films, rather than being filmed in a studio. To see the bridge where Kim Novak’s character jumped into the water in Hitchcock’s “Vertigo”, or the scene of the Starfleet Academy in “Star Trek”, San Francisco is the place to be. If you decide to take a trip to Los Angeles then you’ll be rewarded with some of the sights from “The Muppets”, “Clueless” and the classic “Singin’ In The Rain”. With a huge amount of history in film-making, there are so many choices of where to find your favourite Californian film set. While California may have its fair share of studios, New York has seemingly played host to endless films too. Visit Greenwich Village for sites from the psychological thriller, “Vanilla Sky” and take in the musical history of the region too. Meanwhile, you can find the New York City Ballet and the surrounding area for flashbacks from the recent hit, “Black Swan”. Musical lovers will enjoy visiting West 61st Street for the scene of the opening from “West Side Story”, while “American Psycho” fans might fancy visiting some of the places where Patrick Bateman dined or stalked his victims. For any fan of Audrey Hepburn or the famous “Breakfast At Tiffany’s”, there is one must-see location; you’ve guessed it, explore Tiffany’s jewellers for a taste of the unreachable. Much like Holy Golightly, you can wonder at the beautiful necklaces and bracelets. Once you’ve had enough of the bright and shiny, how about going for the ghostly? The iconic firehouse from “Ghostbusters” can be found in Manhattan, as well as numerous scenes from the movie. A city filled with impressive visuals and perfect landscape for many films, there’s plenty of locations to visit in Chicago. While it might be modelled as Gotham, Christopher Nolan’s “Batman Begins” and “The Dark Knight” were filmed partly in Chicago, and some scenes were recognisably from the city. Many of the stations, streets and towers are shown in the film, so take a trip around the city to see how many you recognise. A film that truly celebrates Chicago, its music and its people is “The Blues Brothers”, and plenty of tributes and sights from the film can be found throughout Chicago. Known as one of the movies that put the city on the film-making map, plenty of downtown locations from the car chase are easy to find. Another celebratory film is the anarchic “Ferris Bueller’s Day Off”; John Hughes’s self-proclaimed love letter to Chicago. With scenes in the Art Institute of Chicago, downtown Chicago during the famous Twist and Shout parade, and the baseball stadium Wrigley Field, it’s easy to find some Ferris throughout Chicago. Wherever you decide to visit in the USA, you’ll be spoiled for choice when it comes to film locations and world-renowned cinema. With so many films celebrating their country of origin, it’ll be easy to find the best sites to appreciate. Take an organised tour or find out where your favourite films were made and you’ll have plenty of places to explore all over the States!